The New Zealand Winegrowers were in Houston last month to host a trade tasting and seminar for local wine professionals at Pappas Bros Steakhouse. 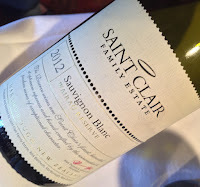 The association brought in an array of wines from several regions and vintages to showcase that, in addition to the great Sauvignon Blanc that the world has come to expect, there are many styles and varieties being produced that may surprise. David Strada and Ranit Librach hosted the event that began with a class and tasting. The island nation of New Zealand has a cool climate. Due to the geography of the country, all of the vineyards lie within 80 miles of the ocean so there is a strong ocean influence that affects the character of the wines. They typically enjoy mild and very sunny summer days with cool nighttime temperatures, this broad diurnal range allows for slow ripening and full flavor development. The isolated country is famous for its pristine landscapes and its commitment to preserving the natural environment. This concept has been in place since the Maoris, New Zealand's first people, settled there. They believed for the people to thrive, they must be good guardians of the land. Over 94% of vineyards are under independently audited sustainability programs with a producer goal to turn a minimum of 20% to fully organic by 2020. Sauvignon Blanc was the first varietal wine from New Zealand to catch the wine drinking world's attention back in the '90s. Their more vibrant expression of this French variety impressed wine critics while growers in other countries were influenced to improve the way they were growing the grape due the depth of aromas and flavors being achieved. Wine drinkers around the globe thoroughly embraced it. By 2014, Sauvignon Blanc alone accounted for 72% of New Zealand's wine production. While the majority of Sauvignon Blanc vines are planted in Marlborough, the variety is grown throughout the country. Climate is the major factor in the distinction of regional styles. In the south, the long cool growing season creates wines with vibrant fruit flavors while maintaining high levels of acidity, this produces crisp, intense wines with tropical fruit, red pepper and gooseberry. In the warmer, northern growing regions, the more mild conditions result in a richer style with ripe melon and stone fruit nuances. Aromatic wines have a strong presence in New Zealand, Pinot Gris is grown throughout the country while Riesling is mainly on the cooler South Island. The Pinot Gris style is more in line with Alsace than an Italian Pinot Grigio. Expect aromas of apple, pear, honeysuckle, spice and bread notes. The Rieslings are in a range of styles from dry to fully sweet. The climate comes into play again with the cooler South Island regions having higher acidity and more pronounced aromatics. Together the Burgundian grapes make up over 15% of vineyard plantings with more Pinot Noir than Chardonnay; Pinot Noir is New Zealand's most planted red grape. Though both are produced in a range of styles, Chardonnay from Marlborough and other cool southern regions is typically light to medium bodied with fresh acidity, citrus and minerality while the Pinot Noir is fresh with red fruit flavors, subtle acidity and a more linear structure. Warmer regions like Gisborne and Hawke's Bay typically produce fuller bodied, richer, rounder Chardonnay and warmer Central Otago produces softer, fruit forward Pinot Noir with more herb and spice notes. Less than 4% of the the total wine production is dedicated to other red varieties like Cabernet Sauvignon, Merlot and Syrah. These grapes are grown primarily in the Hawke's Bay region though there are plantings scattered on both Islands. All were very refreshing and clean with high, food-friendly acidity. All were medium bodied with clean fruit flavors. After the class, attendees were treated to a hearty lunch before enjoying the optional walk around trade tasting. 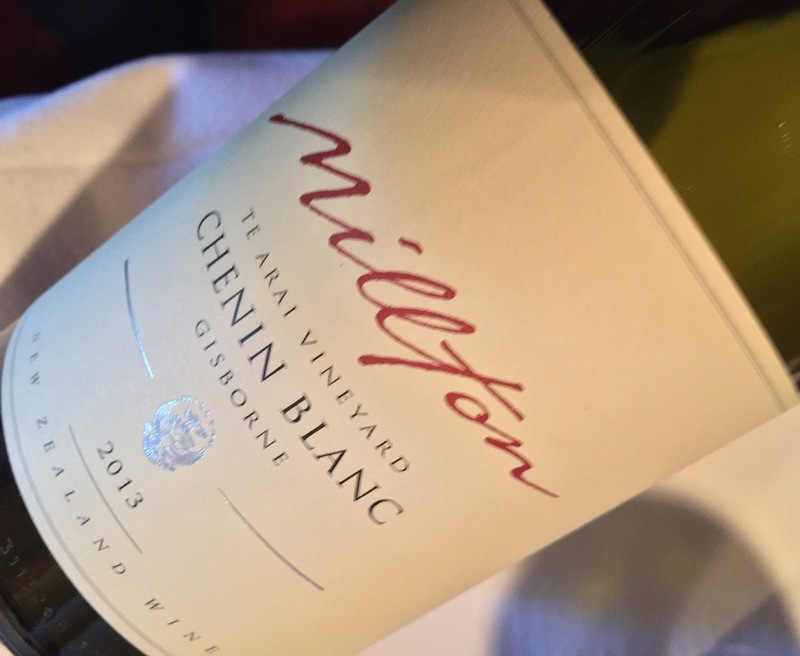 An informative class with an excellent selection of wines which showcased both New Zealand's continued success with Sauvignon Blanc while offering a glimpse into what appears to be a more varied future for the island country in regards to wine.